Buyers can Own for Less than they can Rent. 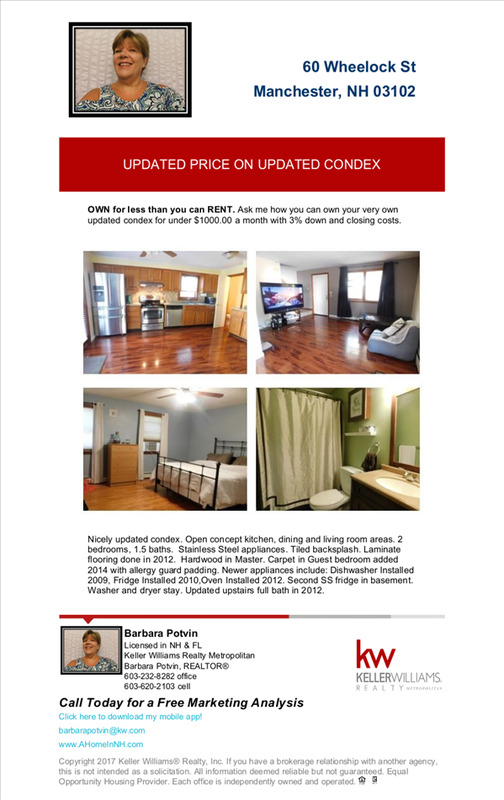 Under $1000 gets buyers into this Updated 2 bedroom, 1.5 bath condex in Manchester NH. With just 3% down and closing costs, buyers can own their own home.